However, we are able to step-up the game fast, from sophisticated prediction algorithms to decentralized IOT gateways management and security systems. Our vision focuses on a proven architecture with multiple layers that extends to battery-supported sensors, resilient IOT gateways and centralized clod-based aplplications with flexible featurization. 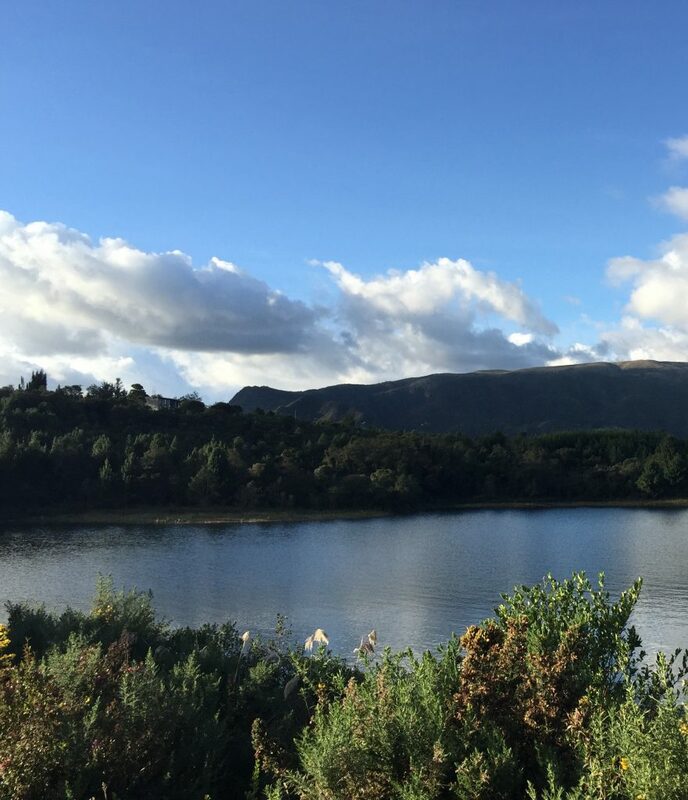 Our sensor portfolio allows us to add more monitoring endpoints to an existing deployment at a feraction of the cost of a conventional datalogging solutuon. The aforementioned portfolio enables measurements on more that 50 different variables from basic temperature sensors to more sophisticated equipment like Carbon Monoxide (CO) concentration readings. Its presentation also varies from commercial models for indoor environments to industrial enclosures compliant with strict standads and specifications such as IP65- IEC or NEMA 4x from such entity. The architecture also includes an IOT Gateway or aggregator which users a propietary protocol based on FHSS technology (Frequency Hoping Spread Spectrum) and an encryption method call EncryptRF (based on DHK Exchange + AES-128) which enables up to 300 meters of coverage with a single power feedenable support for up to 24 hours of autonomous, battery-fed operation with an internet connection managed by Imagunet. Finally, our application is hosted in AWS cloud (Amazon Web Services), leveraging a large set of services and supporting the elasticity required by the market to address many challenges with a cost-effective approach which ranges from customized reporting to automated workflows and notifications. Alongise our partner Monnit, a recognized leader in the market, Imagunet has the deployment and support expertise to ensure business operations continuity and a comprehensive guidance mindset to join our customers in the transition to a fully automated industry..
With more than 90 services currently available on the console, AWS continues to be the dominant leader in the Public Cloud domain as reports from Gartner and other analysts confirm. Today, such leadership and incredible service portfolio present a challenge for system architects in all industries. How can we secure that the right decisions are been taken when selecting specific services or architectures? Is our consumption model adequate for my operation? Which services fit best into our long-term strategic plan? Imagunet is a faithful practitioner of the Well-Architected Framework from AWS, where we have been accredited to ensure an effective consulting practice based on five (5) pillars: Operational excellent, cost optimization, performance efficiency, security and reliability while we continue to persue the highest level of compliance with these design principles. Our driving force would always focus on avoiding scenarios where our customers would have to guess capacity forecasts in order to allocate budget, instead encouraging automation of business processes and enabling innovation based on emerging new services. These methodologies allow Imagunet to pour our experience and recognition gained in multiple events (https://aws.amazon.com/events/iot-app-challenge/) in a consulting model based on multiple stages from ideal consumption model selection all the way to process re-architecture leveraging emerging services using technologies like Serverless, Containers, amongst other. Alongside our partner AWS, Imagunet has a strong implementation and consulting workforce ready to guarantee results and significant improvement on your day-to-day operation. As our enterprises moved into more complex IT ecosystems with highest levels of load distribution and hybrid compute, IT leadership can lose visibility over the status of the infrastructure and its availability to manage new requests or solving new problems with incremental agility. Zabbix, a leader in the creation of open-source tools, brings to the market a definitive application with enterprise-grade robustness to provide real-time visualization of performance metrics over any number of servers, network equipments, virtual machines or containers as well as network-attached peripherals. Imagunet, as a regional certified partner of Zabbix, has brought its expertise managing large volume of information using public-cloud services from AWS to create a unique offer that enables all the capabilities included in the more popular and recent Zabbix distributions. From using newer visualization tools with higher customization capabilities (integrating Grafana with Zabbix in AWS) and all the way to embed new streaming and notification functionalities using services like AWS ElasticSearch and SNS; Imagunet can leverage the capacity of your current (or future) Zabbix deployment for monitoring using a broad portfolio that includes consulting, training and support services with direct engagement by Zabbix product team in Riga. Latvia. 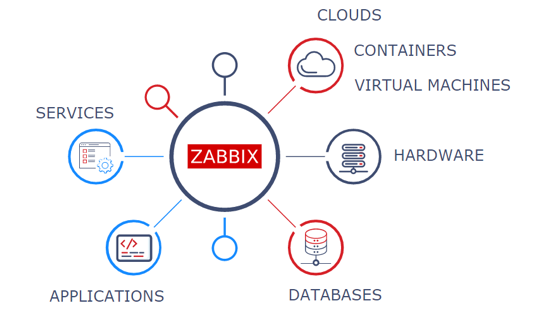 Zabbix architecture focuses on the collection on counters and performance metrics for any type of infrastructure using any method available (Agent and Agenteless) which triggers fully automated operation processes for an unprecedent visibility over infrastructure and applications. The amount of use cases and deployment models to be created as well as its capacity to integrate with upper-layer management systems will make of Zabbix the preferred tool for IT monitoring in the upcoming years. Imagunet is the right partner to ensure that your enterprise can fully leverage Zabbix leadership in the market. The environment that most brands face in any vertical from retail to manufacturing is to enable an agile, repeatable and transparent experience to their end users and customers. 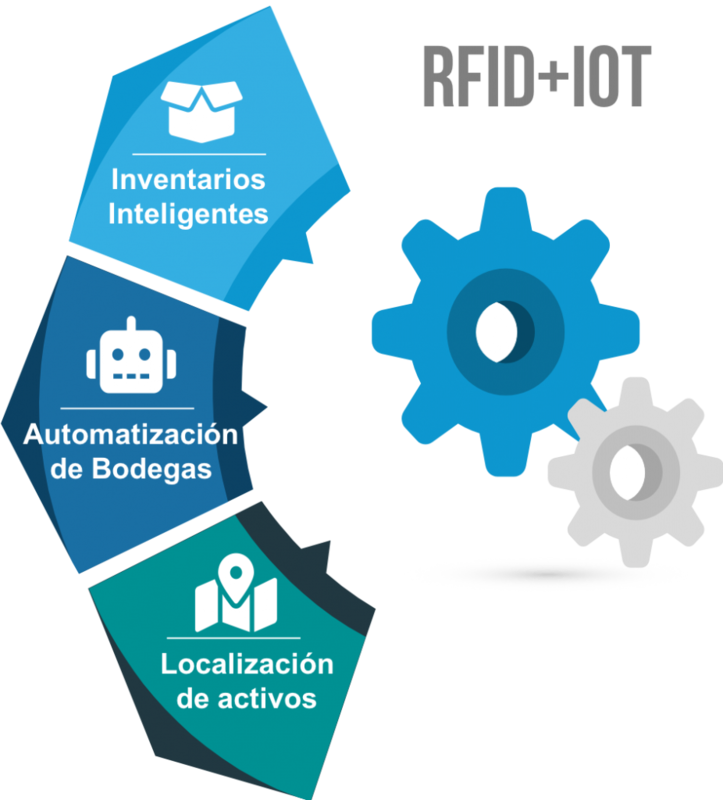 Radio Frequency Identification (RFID) is a hands-free technology that reinforces visibility, joint with a set of applications oriented to simplify the information consumption model to transform it into a process that enables sales, reduces costs and creates a memorable experience. In each business line developed by Imagunet, our first step, when creating a sustainable growth model, always start with clear vision of inventory and supply chain status. Then adding fuel to these processes based on informed decisions, automated operations and streamline in-floor actions. Imagunet also dis-aggregates this path into smaller milestones which makes it simpler for non-technology centric companies to use visibility as an instrument to build omnichannel experiences while removing entry barriers into digital transformation like non-viable business models. Our experiences extends from retail where any transformation process is a multi-annual challenge focus on time-saving inventory updates with higher accuracy all the way to streamline operations to improve floor sales performance based on proactive merchandise request in the right place at the right time, which translates intotwo-digits annual sales growth; even reaching task automation based on trustworthy information for replenishment upon imminent stock-outs and even fulfillment optimization in order delivery underomnichannel and BOPIS (Buy-Online, Pick-up in Store) flows. These improvements extend organically to other industries like hospitals and healthcare facilities, where having the right equipment and medication supplies in the right room for the right patient completely transform the treatment process into an agile, cost-efficient and memorable experience for the patient creating a loyal relationship while improving the return on investments already fulfilled. Moving into logistics, manufacturing, oil and gas enterprises; the joint experience of our partners Mojix and Zebra, merged with the consulting and operational capacity of Imagunet to create flexible and realistic business models based on success cases measured by proven savings will position our customers processes and businesses as prepared leaders to face the upcoming challenges driven by digital transformations.